After three months of blogging and indulge in reading investment blogs, I am convince that my all-time favourite website is Motley Fool Singapore www.fool.sg. The Motley Fool, is a professional financial-services company that provides financial solutions for investors, founded in 1993 by the Garner brothers in USA. The Motley Fool (fool.sg) offers stock market and investing information, offering people suggestions on how to take control of their money and make better financial decisions. This year, the company is voted "the #1 Medium-Sized Company to Work for in the United States" from Glassdoor.com. The Garners also wrote several best sellers noticeably “The Motley Fool Investment Guide” in 2003. Fool is present in US, UK, Australia, Canada and Singapore. Being professional, Fool.sg articles are exceptionally well-written and provide first-rate insights of investment, among all local blogs. The articles are often concise, neither brief nor wordy. 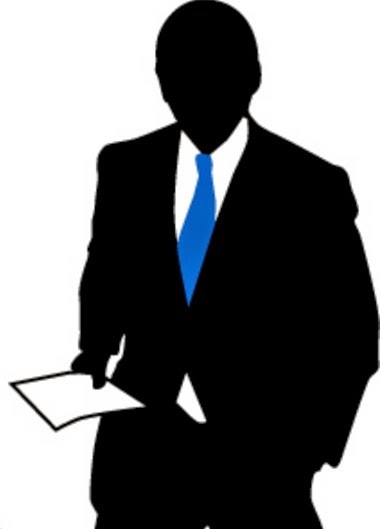 The information is accurate and up to date and covers widely across industries. What I enjoy most is when articles are sweetened with “Singapore flavour” and personal encounter of the writers. The articles will often end with a Foolish summary from the writers that is intriguingly heart-warming. Extracted from Motley Fools on Super Group Ltd below. This week, my colleagues and I at The Motley Fool Singapore got a chance to tour instant beverage maker Super Group’s (SGX: S10) factory in Malaysia. But before I share more about what I had learnt in the tour, I have to first make a confession: I have never enjoyed Super Group’s instant coffee (a key part of its business) under brands such as Super Coffee and Owl. And since we’re on the honesty-page, I’d also like to admit that before the tour, I did not know much about Super Group and had even thought that the company does not really seem to possess any strong competitive advantages around its businesses. Nonetheless, if I had to make a guess as to where Super Group’s competitive advantage or economic moat might exist, I would have pointed to the company’s various branded consumer products due to the fact that the company is putting in constant effort to build its brands. After the tour however, I realised that I might be wrong about some of my assumptions about the company. For instance, Super Group might actually have a strong economic moat around its Food Ingredients business as well. What is this Food Ingredients business all about? Super Group sells instant coffee powder and non-dairy creamer to other beverage manufacturers as part of its Food Ingredients offerings. Previously, I had always assumed that those products are commodity-like and what matters most to customers is food safety and pricing. However, what I learnt during the tour is that there is a strong research and development component to it. Basically, Super Group can mix and match its formulas to suit the customers’ specifications for food ingredients; such customization is only possible because Super Group has its own R&D department. Once a customer is satisfied with the final product, Super Group will then manufacture the specially-formulated ingredient for the customer. Interestingly, there’s a chance you’ll find that branded coffee products from some famous cafés or restaurant chains might actually be manufactured by Super Group. That said, what’s to prevent other non-dairy creamer or instant coffee powder manufacturers from stealing Super Group’s thunder? Turns out, not many competitors in the region have the company’s ability to engage in extensive R&D work to allow for customisation. According to Super Group’s Investor Relations Manager, Ms. Candy Chng, only Nestle and Kerry Group have the R&D capabilities to create such specialized food ingredients for their customers. The tour has opened my eyes to the value of Super Group’s Food Ingredients business. What I had previously thought to be a business that deals with low value-added commodity-like products actually turns out to be a business that has a strong economic moat. In fact, it might even be the crown jewel of the company, in my opinion. Ending with the honesty-theme I started with, I have to say that I’ve changed my mind slightly about the company this week after the tour. But, that’s not enough for me to change my taste in coffee for I’m still sipping my good old Oldtown Instant Coffee while I wrap up this article. 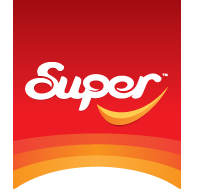 While reading Super Annual Reports prior to my investment in the company, my wife ask me: "You gonna invest in Super Group, Huh the Super Coffee, not nice to drink leh, especially the Teh Su Su. Also Singapore market is small leh! - She lamented, probably from bad experience of taste recalled years ago." What she also does not know is that Super Group has other businesses in Food Ingredients as well as operating many other brands offering Cereals, Soy Milk, across numerous countries in the region. Moreover Super Coffee or its Tea taste, I must admit had improved over the years particularly Owl brand. Like my wife and the Fool writer, I never like Super 3-in-1 Coffee and prefer my Espresso Double Shot or "Kopi O Siu Dai" . The truth is I like the company more than the coffee! Investing in Stocks – Isn't it Risky … Any Tips? Courts Asia – Mid Year Sale!